Spirograph is back, and it's better than ever. 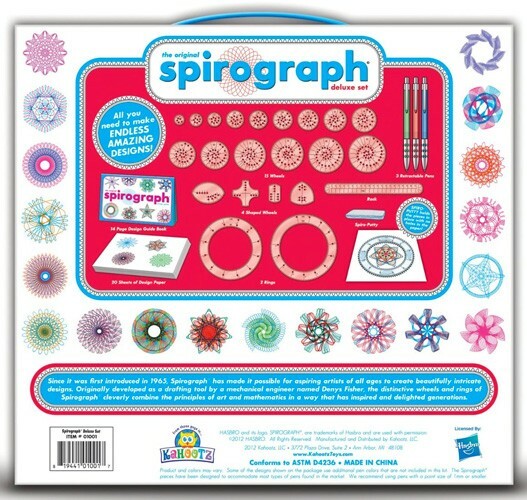 Your whole family can have hours of creative fun with the amazing Spirograph Deluxe Set. 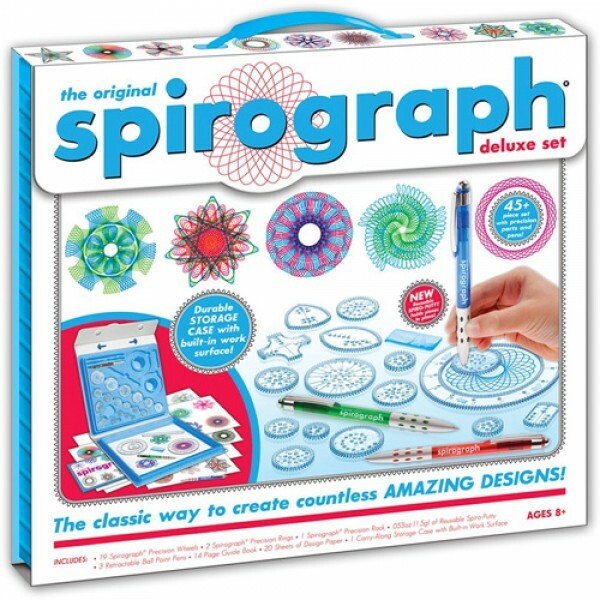 Now you can create your own cool designs and awesome pictures with this fun Spirograph Deluxe Set, winner of the ASTRA 2013 Best Toys Award. 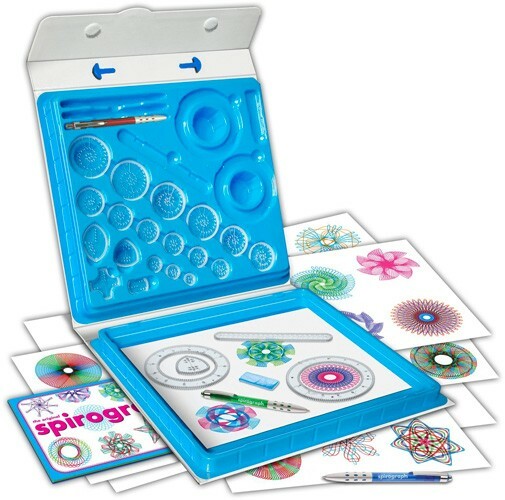 The 45-piece Deluxe Set includes 19 Spirograph Precision Wheels, 2 Spirograph Precision Rings, 1 Spirograph Precision Rack, 0.21 ounces of Reusable Spiro-putty, 3 Retractable Ballpoint Pens, 14-page Guide Book and 20 sheets of design paper. It all comes in a carry-along storage case with a built-in work surface. Use the design guide to try out tried and true designs, or get creative and create cool and colorful graphics of your own. For more arts & crafts kits for kids, visit our Arts & Crafts section. For more toys that encourage an interest in math, visit our Math Toys section.